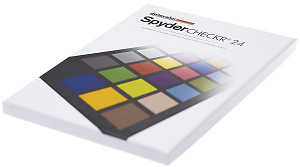 Datacolor has announced a new camera colour correction chart for photo and video. Damian McGillicuddy has released Volume 2 of the 'How To Shoot Like The Big Dog' eBook. New Photography Course Package now includes two ebooks, a monthly ezine and competition, plus a 30 minutes instructional video. Sony has released how to guides to help customers get the most out of their products. ABC audits show newsstand photography magazines are in general decline - but two buck the trend. Jumpstart have added two new titles to their range of tutorial DVDs, with guides available for the Canon 550D & Nikon D3000. Need an instruction manual for your camera? ePHOTOzine and Old Timer Cameras team up to offer more printed instruction manuals than ever before. Learn how to combine images and video in your slide shows with new ProShow Training DVD. Flaghead Photographic announce new Honl DVD. Handbook helps photographers to sell their photos for cash. Litebook magazine now available in mandarin.